Check availability / Book Online! Tents, caravans and motor-homes welcome for holidays and short breaks. Four camping pods for hire. 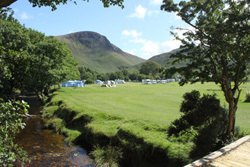 Lochranza Campsite is owned and managed by staff who are active campers and caravanners themselves. As you enter the campsite you will find yourself in a bowl-shaped area of flat ground surrounded by steep hillsides where red deer graze and golden eagles fly and where mountain burns tumble down to the sea. Putting and special offers at Lochranza Golf Course are available to campers. Take a look at Rail and Sail with Calmac Ferries: https://www.calmac.co.uk/railandsail/arran to enjoy a relaxing holiday using rail, sail and island bus. The campsite is situated at the south end of the friendly village of Lochranza on the beautiful Isle of Arran's wild north-west coast. The campsite is close to the Arran Distillery and Lochranza Golf Course and ten minutes walk from the loch and the castle. Lochranza is a great base for enjoying superb local food and drink, walking, watersports, photography, geology, art, heritage and relaxation. We are a quiet site in a natural environment. Lochranza Campsite is situated is one of Scotland's National Scenic Areas and is a Site of Importance for Nature Conservation. Please arrive after 2 pm (and before 8 pm) and leave by 12 noon on the day of departure. "Lochranza Campsite does well securing the GOLD award at first grading attempt. Kathryn and Nigel have clearly put in a lot of effort to reduce some of the bigger potential impacts of the site, engage with other island organisations/charities, and also give a really green experience to guests." Stuart Park. Assessor. 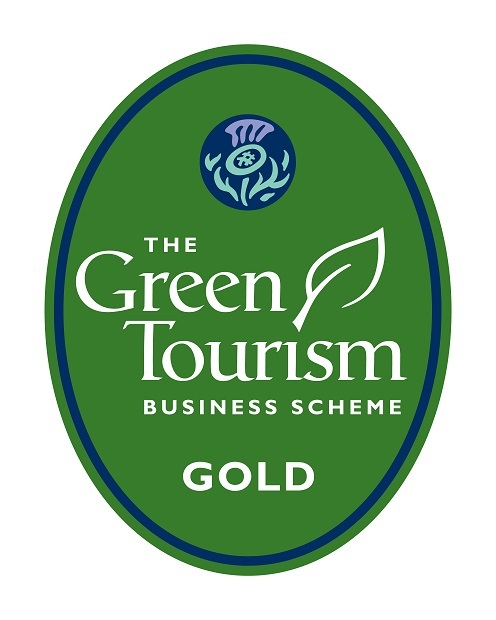 Green Tourism Business Scheme.